CorVascular's VasoGuard HD series is ideal for the mobile testing service and cost-conscious diagnostic clinic. The HD series is completely battery powered and handheld. Choose between the standard pencil style Doppler or the new Flat Doppler Probe for hands-free convenience. The systems also features an auto-inflation sphygmomanometer making automated testing a breeze. All CorVascular VasoGuard Systems include a two-year warranty. 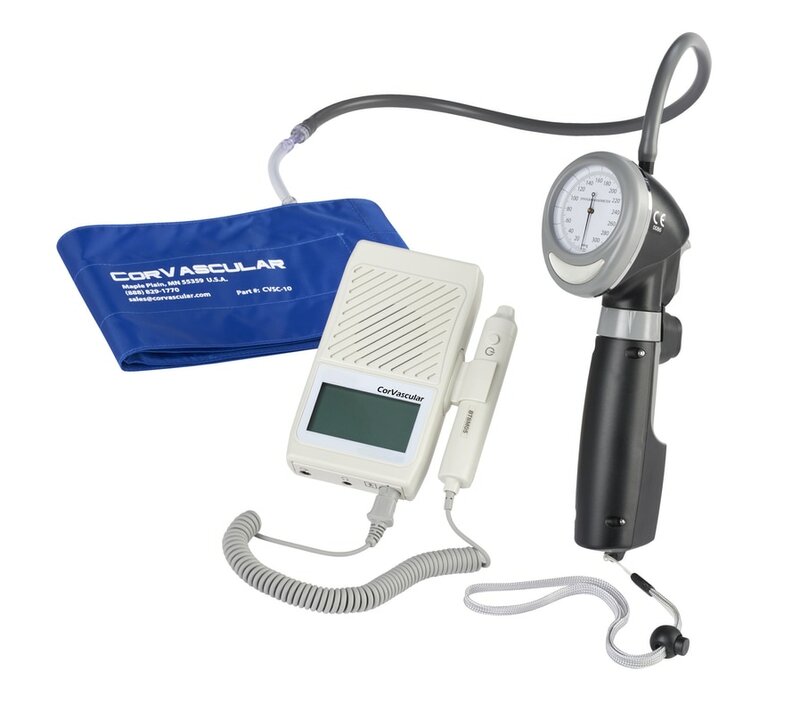 CorVascular's VasoGuard HD45 is a full featured, battery-powered, handheld bidirectional Doppler with computer interface for lower extremity testing and documentation. lt has a simple single-button operation which locks in gain and baseline automatically. The HD45 has an integrated printer for reimbursement and a real-time visual waveform LCD display. Options include a PPG module for toe pressures and V-Link software for printing full-size reports, PDF and DICOM compatible files. 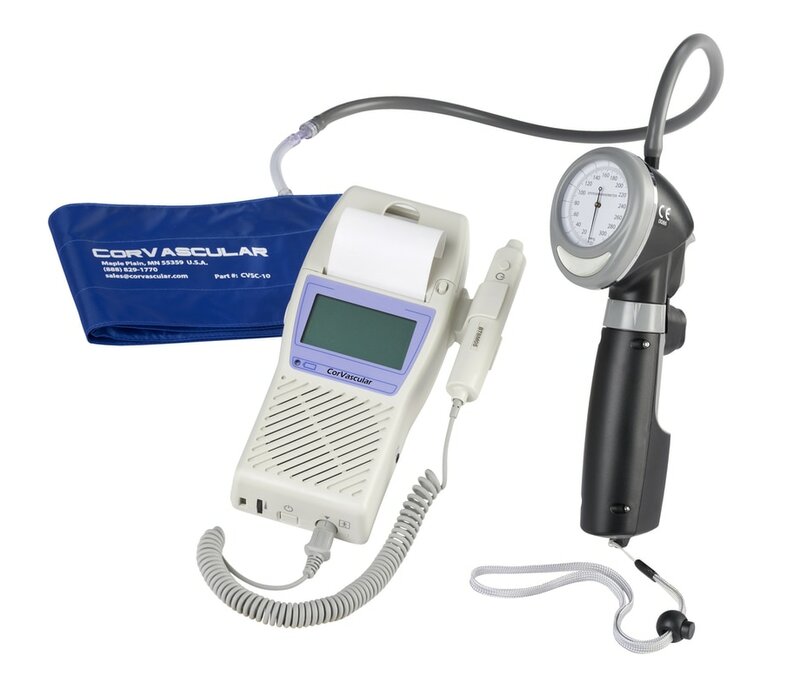 CorVascular's HD30 is a handheld visual bidirectional pocket Doppler with computer interface capabilities and auto-inflate sphygmonameter. View a live waveform on the LCD screen and store up to 30 waveforms for later reference. You can also download waveforms to a computer for generating reports. The VasoGuard HD30 is similar to its cousin HD45 without the built-in thermal printer and without the temperature probe. Options include a PPG module for toe pressures and V-Link software for printing full-size reports, PDF and DICOM compatible files.